A cold front stretching from Toronto to Indianapolis is slowly moving our way, pushing moist air over a cold lake. And that, according to National Weather Service meteorologist Dan Kelly, is what’s causing this morning’s fog and rain. It’s about 50 degrees mid-morning so far and the temperatures are set to drop into the 40s in the afternoon – and into the 30s by night time. 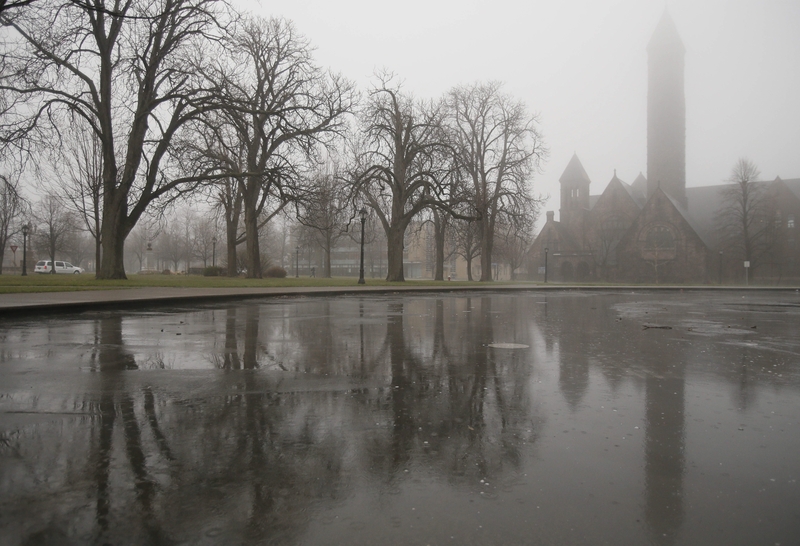 The fog should taper off by early afternoon but showers are expected to continue on and off. Rain is expected overnight tonight and there’s a chance a few snowflakes will get mixed in around sunrise Wednesday in the Buffalo area. In the higher elevations in Southern Erie and Wyoming counties, there’s the possibility of up to an inch of snow. However, whatever falls won’t stick around long. In those higher elevation areas, temperatures should rise into the 40s during the day Wednesday. In Buffalo, it should get to about 50.